Malcolm Faed's Blog: Optus Cable upgrade to DOCSIS 3. Wahoo. After the upgrade, I get the following. 7 x as fast! Using parallel downloads I now get about 5MB/s Thats about 5 times what I had before. All for the same price I was paying. 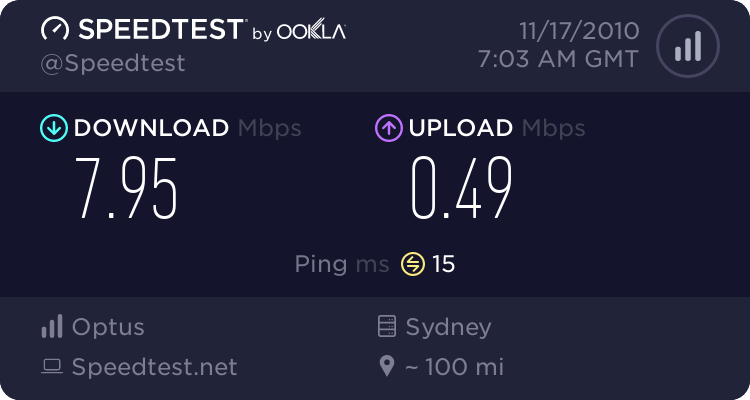 Thank you Optus. Think I will just back up the internet. 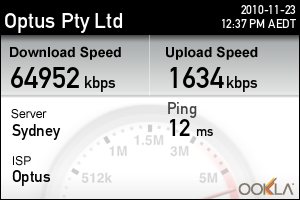 This is what I get from the Optus site.